Ailsa’ travel photography theme for this week is liquid so here’s a selection of wet images from around the world. You can’t go far wrong with rainbows and fountains. 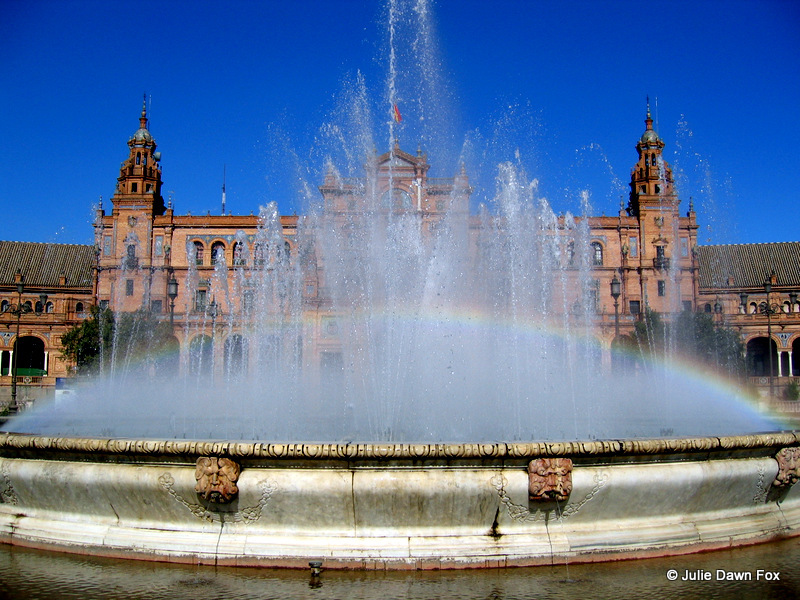 This one is at Plaza de España in Seville, Spain. 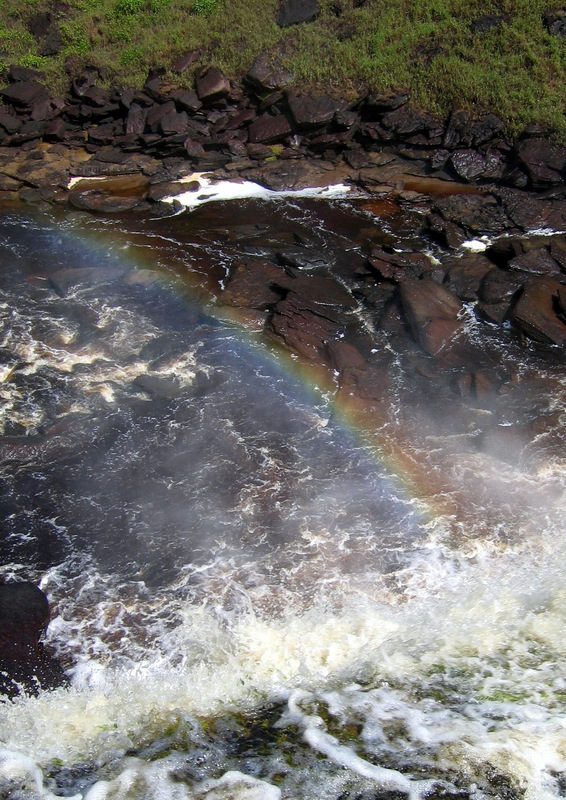 A more rugged, natural setting for this rainbow in Canaima national park, Venezuela. 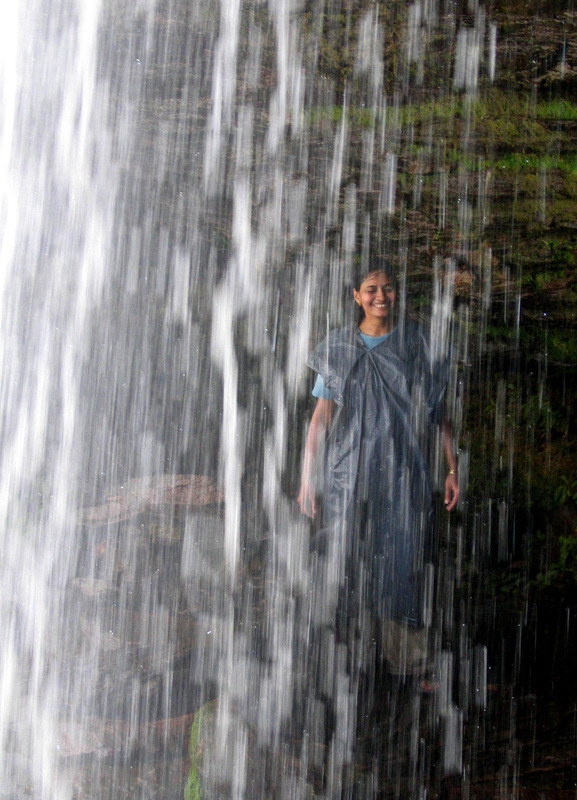 Still in Canaima, it’s possible to walk behind the waterfalls. Most of us wore swimming costumes but the bin bag and smile make for a better photo. Other ways to cool off in hot countries include water fights. 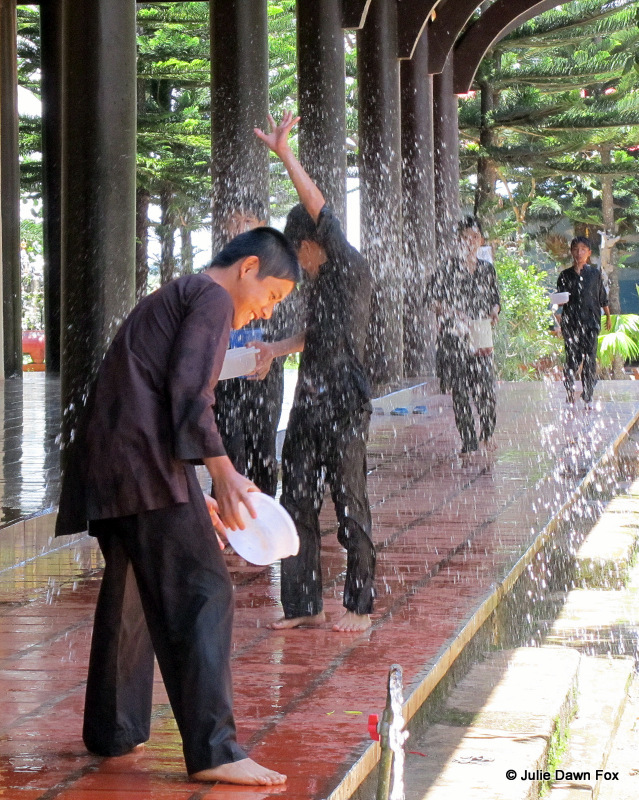 These young monks were having a great time when I visited their temple near Dalat in Vietnam. 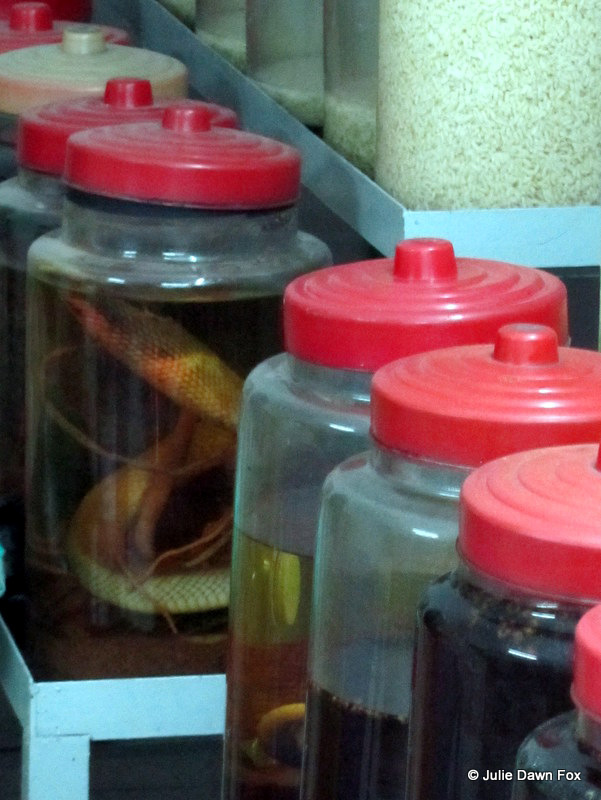 Snake wine is apparently quite popular in Vietnam. It’s supposed to make men more virile but to me, it just looks vile! Yes, that is a snake! Travel theme: Liquid – Where’s My Backpack? I like the third one, it expresses bliss and serenity to me. Thanks, it’s one of my favourites. I love this series–so varied and interesting, especially the last photo!